The Best Night Ever! Secret of the Tomb was a hilarious installment to the Night at the Museum movies. With old and new characters coming together for the ultimate adventure to help Larry save the magic that lives in the museum, Secret of the Tomb was a great family movie to watch with the kiddos. We got to make this a family movie night and watched all the hilarious predicaments the characters get themselves into while traveling to London. My kids, hubby and I all loved the movie. I thought each character brought the movie together and it was good to see Robin Williams portray Teddy Roosevelt once again. 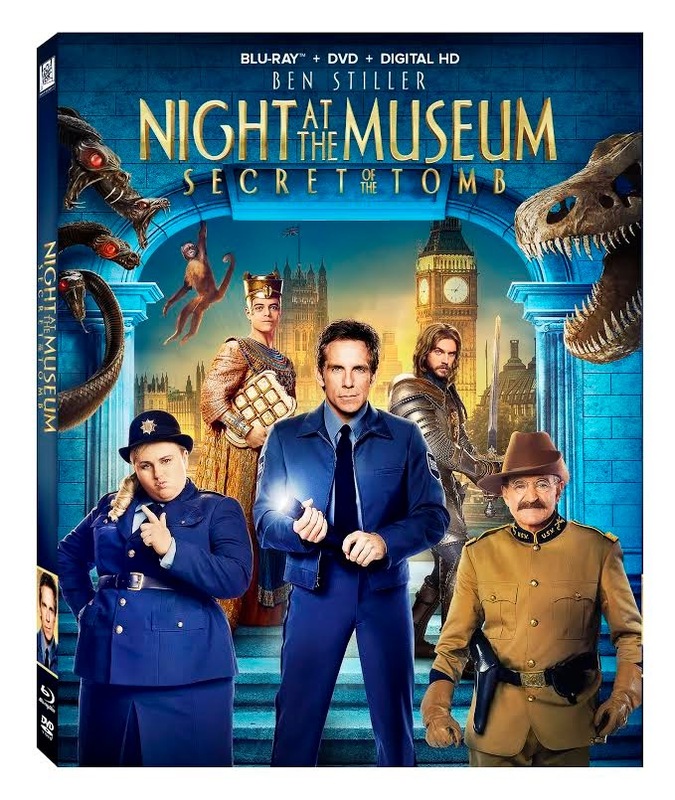 If you're looking for a new family movie to watch that will have you and your family laughing hysterically or if you're a fan of the Night at the Museum movies, don't miss picking up a copy of Secret of the Tomb and if you want, be sure to enter our giveaway below for a chance at winning a copy! Disclosure: All opinions are my own. I received Night at the Museum: Secret of the Tomb on Blu-ray & DVD combo at no cost for the purpose of this review. No other compensation was received.